Beyond creating works of art, we strive to perfect the most important element - the collecting experience itself. Exhilaration. Excitement. Pleasure. Pride. Status. The XM experience is real. Highly valued in limited availability, XM pieces appeal only to the most determined, discerning collectors. Afterall, nothing worth having comes easy. Happy Collecting. That's right. 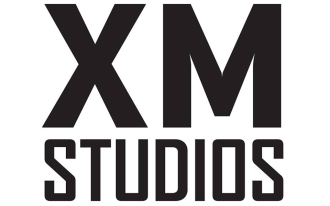 We humble boys at XM Studios seek to work with the best folks the world has to offer - so we can bring the best collectibles to you. We dedicate this special page to the amazing artists, sculptors and talents who work with us to produce stuff that dreams are made of. (If you guys are reading this, you guys are awesome to work with!). Below are the talented creative people we would like to thank, along with quick bios and links to their incredible work (Please check them out!). In no order of fame or talent. Marthin is a 3D artist working in the game industry for the past 5 years. He shipped few titles from Assasin's Creed, Prince of Persia, and Raving Rabbids. His other passion is creating character in form of digital sculpts.